Optimum Nutrition introduces the “first fully instantized BCAA Powder” with their BCAA 5000 Powder, a source of branched-chain amino acids. What do they mean by that quote? They mean it is the first product to be easily mixed into a liquid base without a blender, so you can mix it on the spot and drink it with cold water when you’re hot and thirsty after lifting weights. Here is some background on Optimum Nutrition and details about their powdered BCAA formula. Optimum Nutrition, Inc., or ON as they are otherwise known, is one of the top manufacturers of nutritional supplements, particularly those designed to enhance athletic performance. Their goal is to provide products that stand out for their quality and variety but remain affordable while keeping up with results of scientific research in this constantly changing industry. Home base is Illinois, USA. What Are Branched Chain Amino Acids or BCAAs? BCAAs, sourced by the body from the diet, are used to lay down muscle and also to repair it. Digesting BCAAs from food will take time and energy but BCAA 5000 breaks this process down, creating instant uptake in powdered form when your body needs it right away. Clients simply mix the powder with milk, juice, or water to obtain the amino acids their body requires in order to build bigger muscles or to repair cells after working hard. They take it after a workout to ensure muscles repair themselves while hydrating at the same time. All it takes is a spoon, no blender required, and you’ve got 5 grams of BCAAs per serving. Every time you drop 9.5g (2 scoops) of powder into your drink mix, you are getting Leucine, Isoleucine, and Valine: twice as much Leucine as the other two BCAAs. These are specially chosen for recovery and doses are concentrated to optimize effectiveness. While you can choose an unflavored version and mix them with your favorite fruit juice, fruit punch and orange add some zing to your recovery routine. This product is available in 40- and 60-serving formats plus 336g, 60 servings being the most economical at about $50 per canister. All three of these are related to each other and the body does not produce them naturally. You have to consume Valine, for instance, in a supplement or from foods like soy, certain fish, and assorted types of meat. Descriptions for Leucine show that it’s important in the role of optimizing focus and energy while Iso-Leucine carries out a similar role. Generally, if you eat a lot of eggs, beans, soy, fish, and meat you’re probably ingesting some of these BCAAs already, but it’s not always easy to eat a real meal after working out or during a workout. Drinking your BCAAs is easier, especially if they’re rapidly dissolved in water and you sip slowly. Otherwise, you would have to make a salad of black beans, feta cheese, and tofu for your after-workout meal. Optimum Nutrition also makes protein powders containing whey, egg, soy, and protein blends. They carry pre- and post-workout blends, recovery products, and casein. 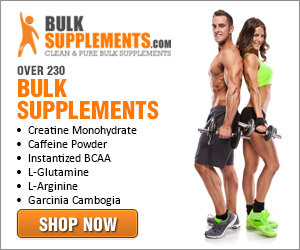 Browse items for men and women, multi-vitamins, and weight-loss or weight gain supplements. The firm has been around for a while and has won several awards, especially for their fitness supplements. Buy it! CLICK HERE to get ON Instantized BCAA 5000 Powder on Amazon.